The pilot at the controls of a Beechcraft B200 Super King Air that crashed shortly after take off had the aircrafts rudder trim in the full left position for take off, the Australian Transport Safety Bureau (ATSB) has found. 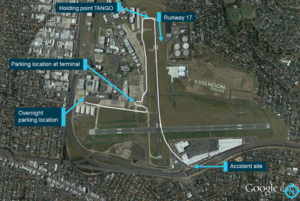 The ATSB final report said the aircraft’s track began diverging to the left of the runway centre line before rotation and the divergence increased as the flight progressed. Approximately 10 seconds after the aircraft became airborne, and two seconds after the transmission was completed, the aircraft collided with the roof of a building. The investigation found that the pilot did not detect that the aircraft’s rudder trim was in the full nose-left position prior to takeoff. A King Air flight simulator was used to recreate the event as part of the ATSB investigation. 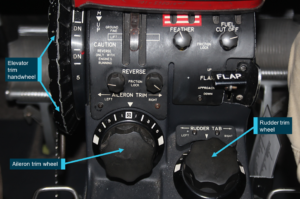 Cockpit checklists are an essential tool for overcoming limitations with pilot memory, and ensuring that action items are completed in sequence and without omission. The improper or non-use of checklists has been cited as a factor in some aircraft accidents. Research has shown that this may occur for varying reasons and that experienced pilots are not immune to checklist errors. This accident highlights the critical importance of appropriately actioning and completing checklists. Wait what!??? It is stating the obvious but it’s a timely reminder that checklists are an essential defense against pilot errors. Sadly, it could have been a life-saver in this instance. The ATSB video to supplement the report.